SafeWordSociety is proud to announce our partnership with the Brooklyn Nets for their 2019 Pride Night at Barclays Center in Brooklyn! Mark your calendars for Wednesday, January 23, 2019! In addition to $35 game tickets, we are also offering exclusive access to a SafeWordSociety Visibility Pack Pre-Game event, hosted by Doreen Pierre of Dapperpenniless, for the FIRST 50 TICKETHOLDERS! On Oct 13th from 2:30 - 4:30 PM, in honor of LGBT History Month, we're giving you Archiving 101: Methods of Self-Preservation with Zakiya Collier! This workshop aims to highlight the importance of personal archiving and self-documentation for LGBTQIA+ communities of color. The workshop will explore a creative approach to self-preservation and affirm the addition of archiving, to our repertoire of survival strategies in our everyday lives. Join SafeWordSociety @ NMAAHC in Washington, DC! We have arranged a specially curated tour for a group of 25 QTPOC+ at the National Museum of African-American History and Culture in Washington, DC from 8:30 - 10:30 am on October 5th! Reserve today, as spots are LIMITED! **We will also be going to an optional pre-fixe brunch after the tour - further details to follow! See you in The District! SafeWordSociety Presents: A CREATIVE CO-WORKING SESSION! Sept 8th from 2:00 - 5:00 PM, we're coming back with aCREATIVE CO-WORKING SESSION! We've been on hiatus for the summer and are craving some creative community energy! Since we'll be hanging out in the Ace Hotel New York Boardroom getting prepared for some really exciting projects...we thought we'd invite you to join. This event is free, QTPOC+ prioritized. 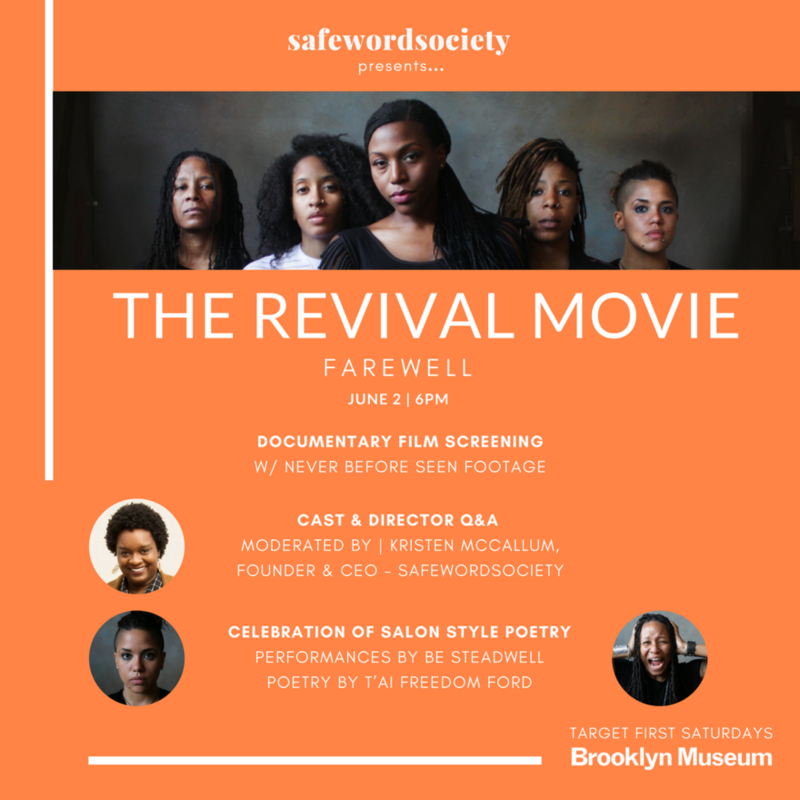 Weeksville x SafeWordSociety: Can We Talk IRL? Can We Talk, IRL? is a workshop hosted by SafeWordSociety as a part of our CREATE COLLAB VYBE Workshop Series. 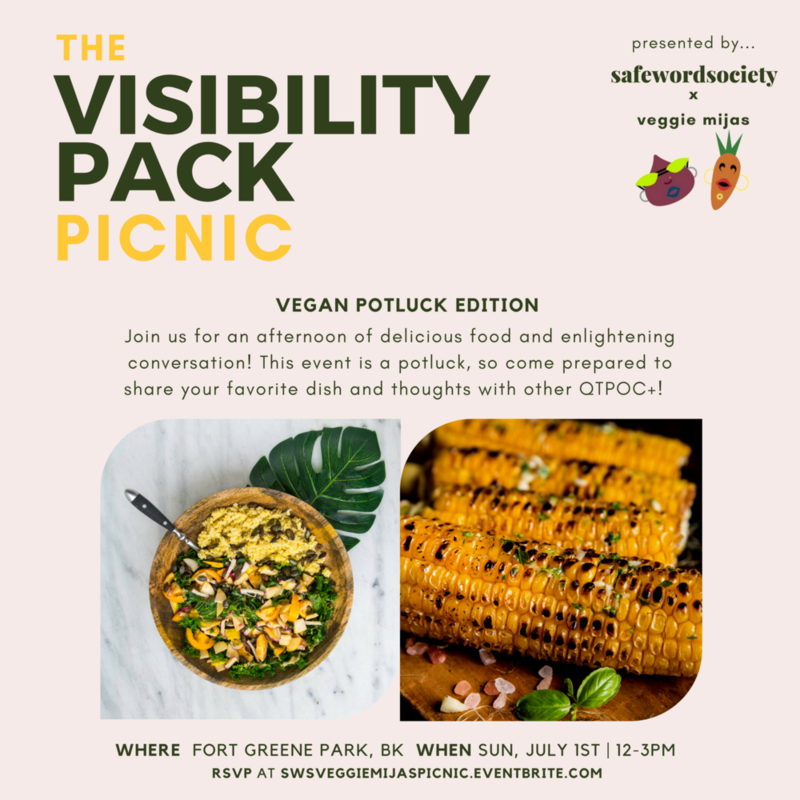 Join us for this very special Weeksville Wednesday as we conduct a 2-part Visibility Pack Learning Lab, fostering a discussion about inclusivity and empowerment. Snowstorms caused us to cancel this special event, but the third time is the charm! We welcome you to an intergenerational community conversation in honor of the women that have come before us, who we are today, and the ones yet to be born. Moderated by Monica Montgomery Nyathi, Strategic Director of Museum Hue,join us for an evening of celebrating our wins, calling upon our ancestral mothers, healing, and good ol' fashioned girl talk.